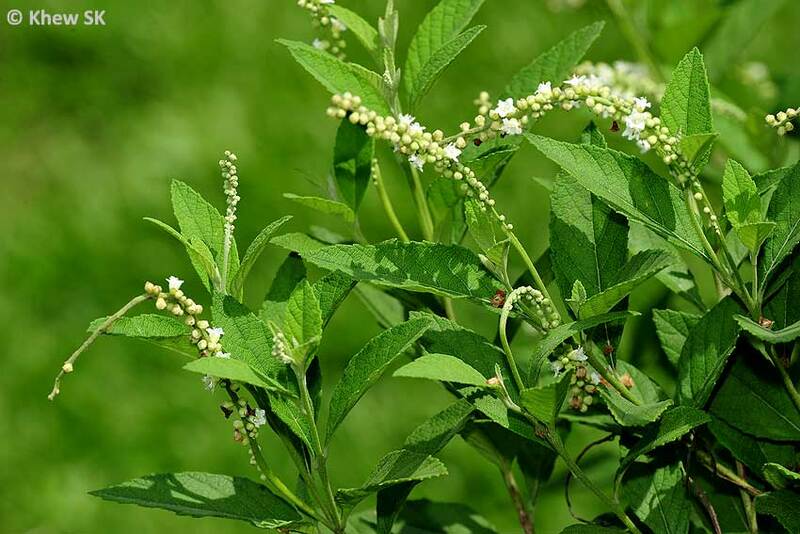 In this second article in the Favourite Nectaring Plants series, we take a look at a plant that is not that commonly cultivated in recent years. 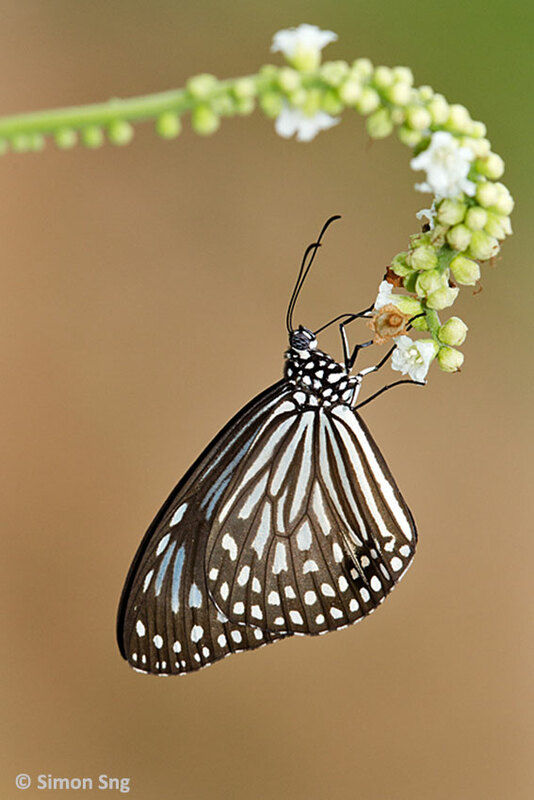 Nevertheless, where this plant occurs, it is quite a butterfly magnet! In my childhood days, I recall that this plant grew commonly as a hedge around gardens and attracted a myriad of insects, birds and reptiles. 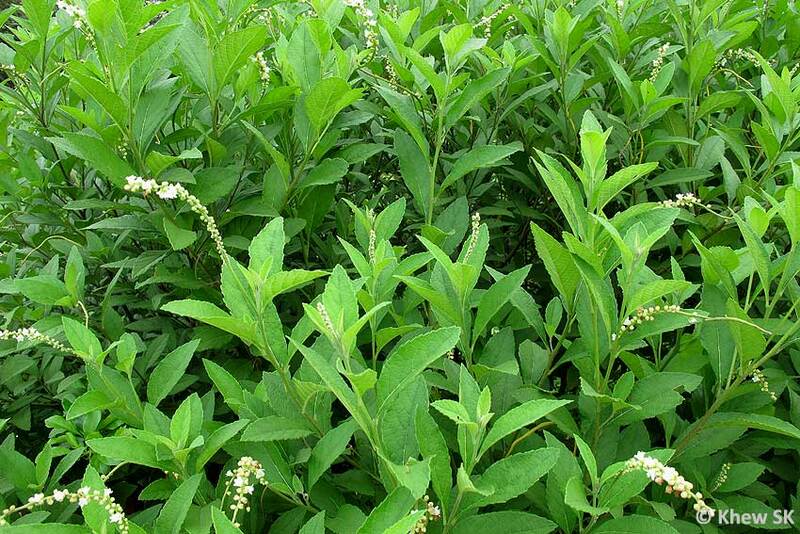 I wonder why this plant is no longer popular with landscape designers and gardeners these days. 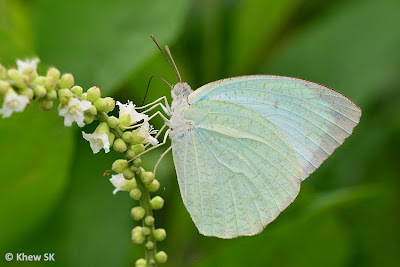 Perhaps NParks could considering bringing this plant back for the Park Connectors and various gardens and parks around Singapore to provide a greater diversity and choice of nectaring plants for butterflies and other critters to feed on. The String Bush (Cordia cylindristachya) belongs to the Heliotrope family, of which another related plant, the Indian Heliotrope (Heliotropium indicum) is a plant to which species of the Danainae family have a special affinity. 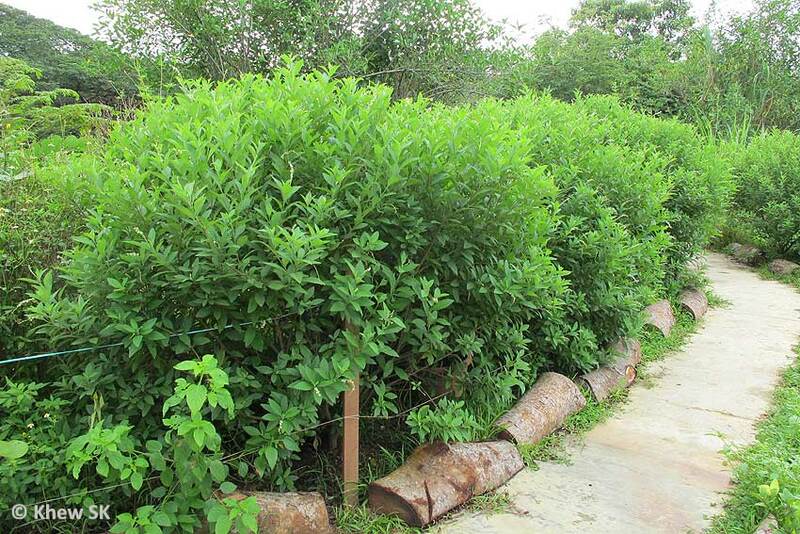 The String Bush is a bushy shrub, growing to 1-1.5m tall. 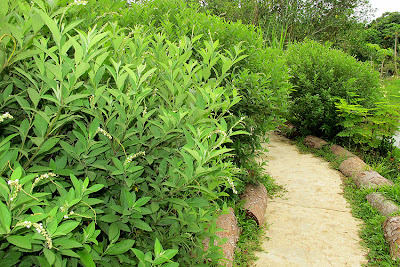 In larger and older bushes, the stems of the plant are woody and firm. 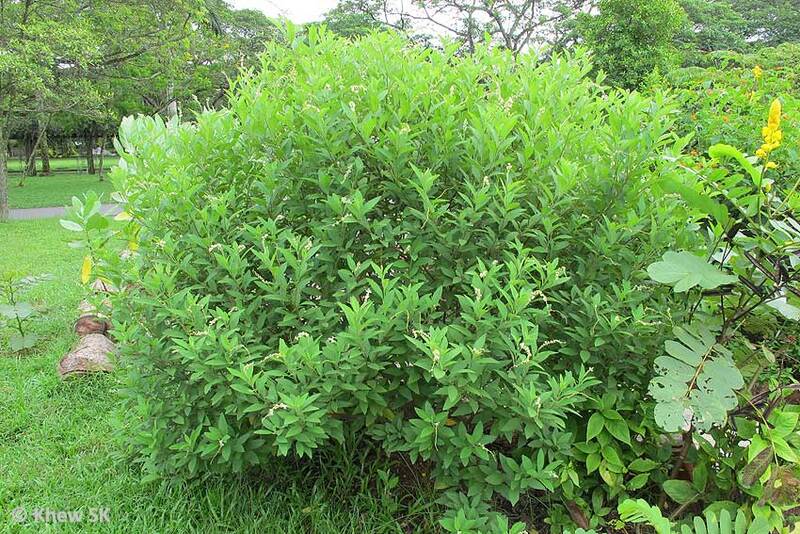 The leaves of the String Bush are rough and velvety to the touch, relatively hairy, and dull green. Each leaf is eillptical or ovate with a sawtooth edge. 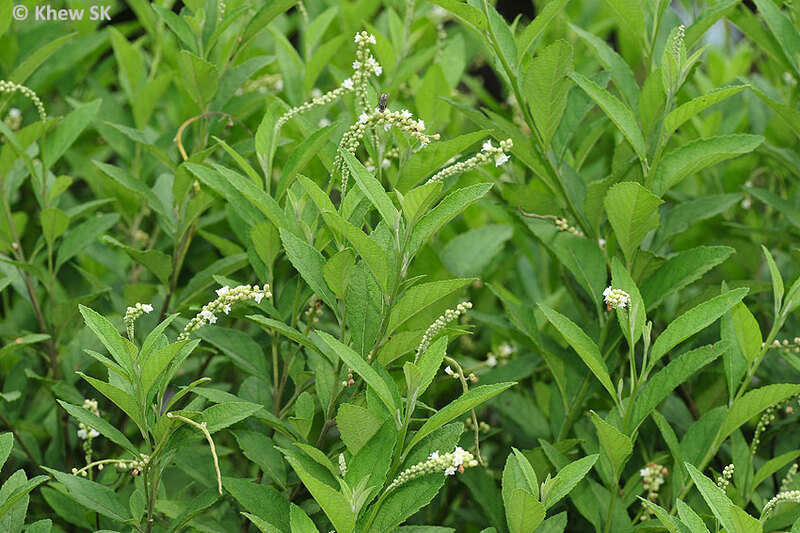 The mature leaves are around 5-10cm long. 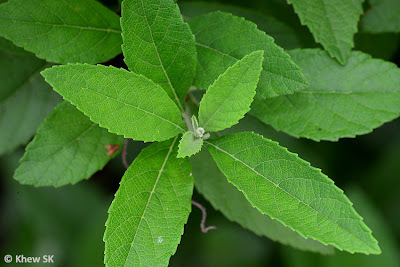 The leaves grow from the stem in alternate arrangement. 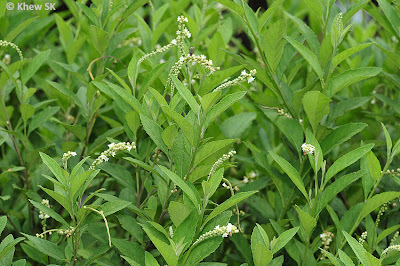 Young stems are light green, turning woody brown as the bush matures. The flowers are small, crowded in terminal spikes.The corolla of the flower is bell-shaped, light whitish cream in colour and measure about 4-6mm long. The pistil is creamy white whilst the stamens are pale buff. 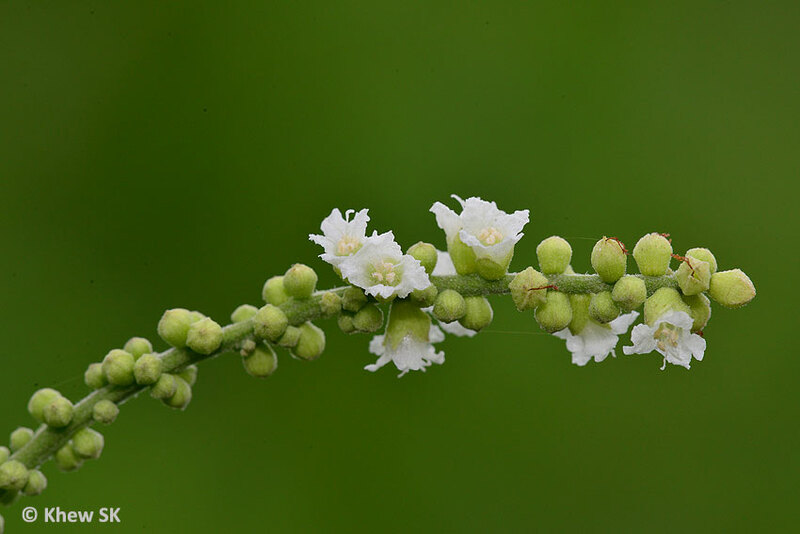 The fruits are globose , pale green and about 5mm in diameter attached on the spikes but turns red when ripe. It was a common hedge plant after its introduction from tropical America until the 60's in Malaysia and Singapore, gradually disappearing, most probably due to the introduction of a beetle Schematiza cordiae that was imported from Trinidad to control the String Bush from spreading too fast. Both the adult and larvae of the beetle feed on the leaves of the plant. 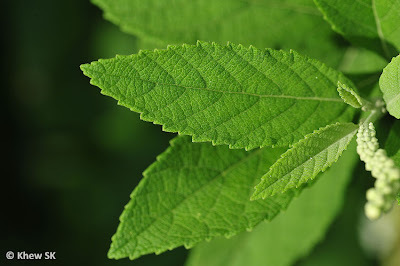 Given that the plant is no longer very commonly seen in recent years, would this beetle still be around, or has moved on to feed on other plants in the family? 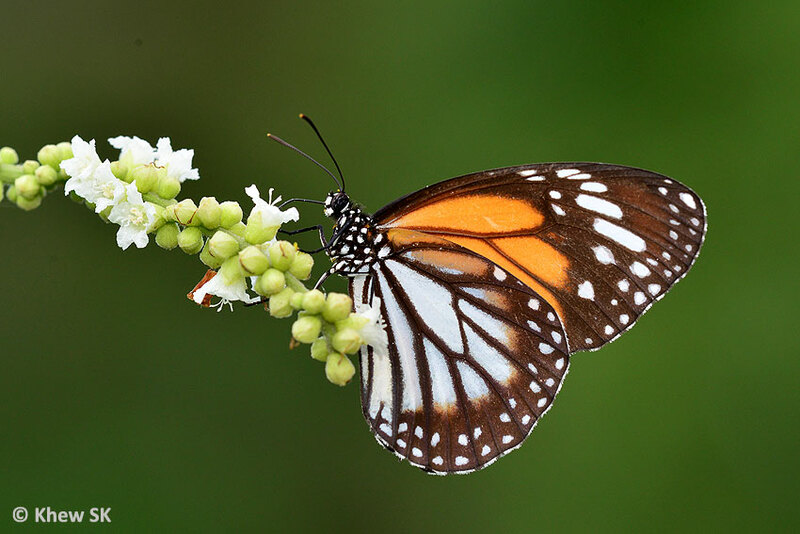 The String Bush has been observed growing wild at the old Mandai Orchid Garden (which is now no longer in existence), at the Butterfly Hill at Pulau Ubin, and at the Pasir Ris Butterfly Garden. The last named location features a good stock of several large healthy plants of the String Bush with lush growth of leaves and flower spikes attracting a myriad of butterflies on a daily basis. The plant is drought resistant and can grow in relatively poor soil.However, in fertile soil, the plant grows lushly, reaching more than a metre high in a few months.It does better in locations with full sun. The flowers do not produce any strong scent, but is highly popular with butterflies. 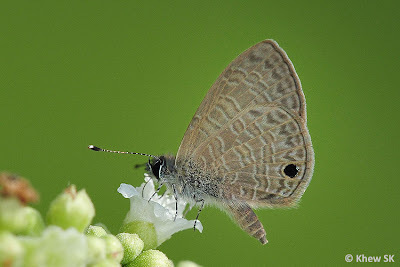 It is interesting to observe that butterflies of various sizes from the larger Papilionidae to the small Lycaenidae all feed on the flowers of this plant. 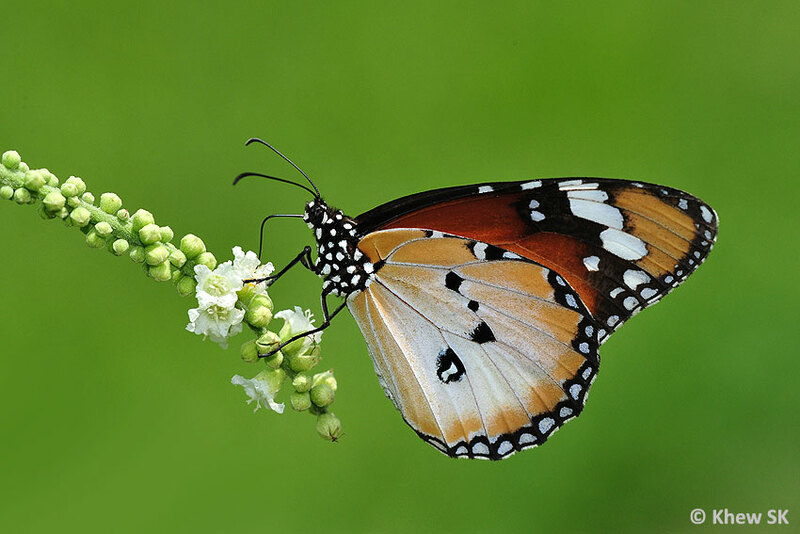 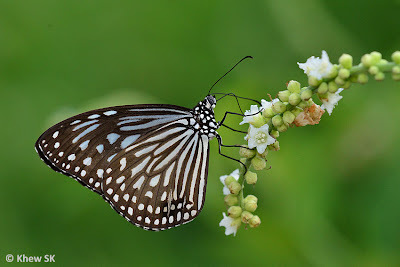 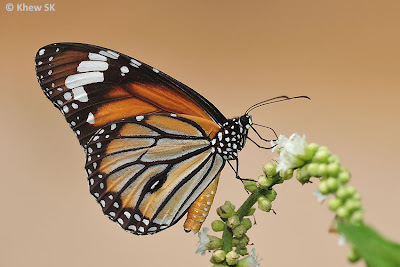 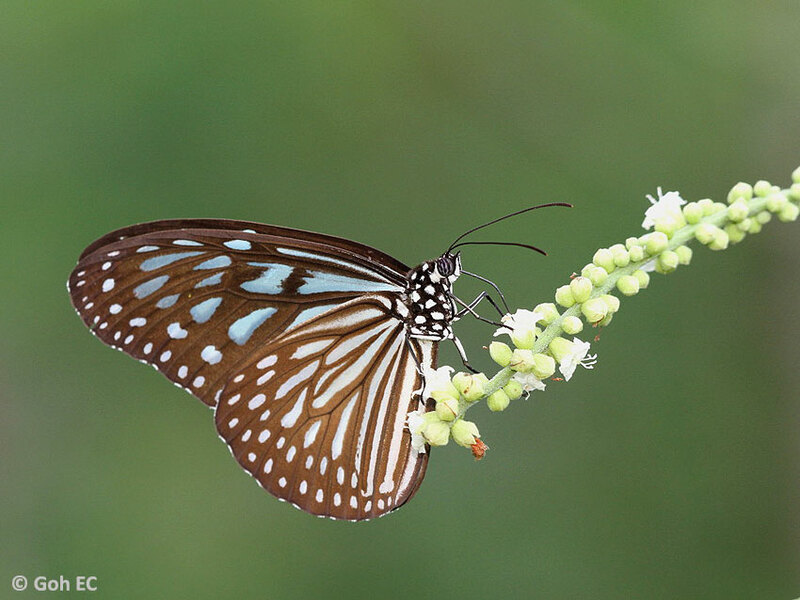 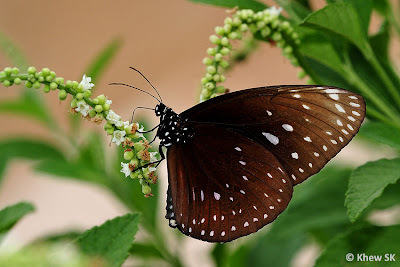 Of the larger Papilionidae, we have observed the common butterflies like the Lime Butterfly, Common Mormon, Common Mime and even the fast-flying Common Bluebottle feeding on the flowers. 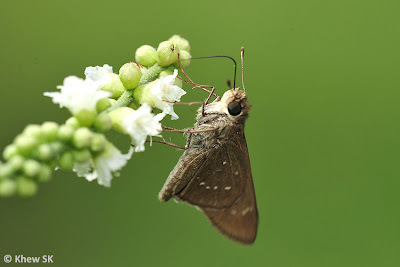 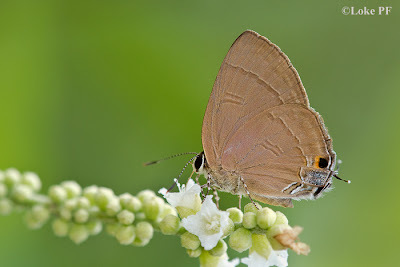 The Pierids are also fond of the flowers of the String Bush, with the Emigrants, Grass Yellows and Striped Albatross seen feeding on the flowers. 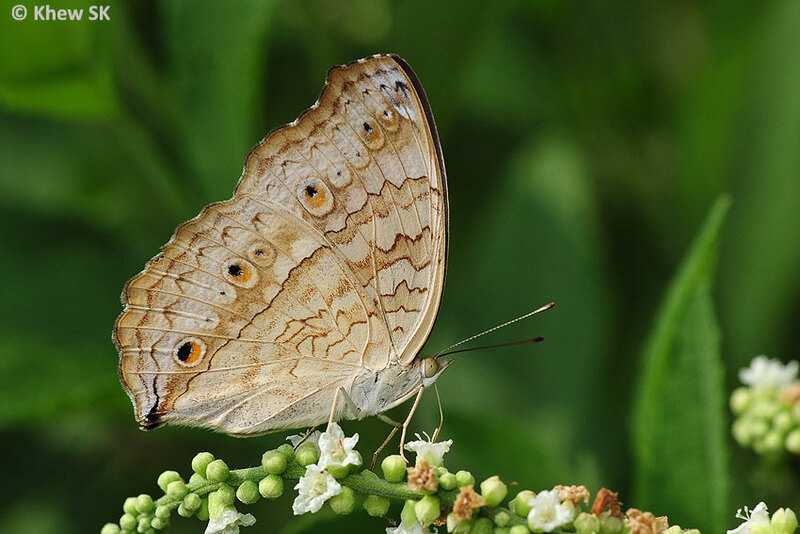 Nymphalidaes include all the four Pansys, the Baron and the occasional Autumn Leaf. The Danainaes love the flowers of the String Bush, in particular the Glassy Tigers, Plain/Common/Black Vein Tigers and even the odd King Crow! The Lycaenidae that are attracted to the flowers of the String Bush shows quite a wide diversity, particularly at Pasir Ris Park. 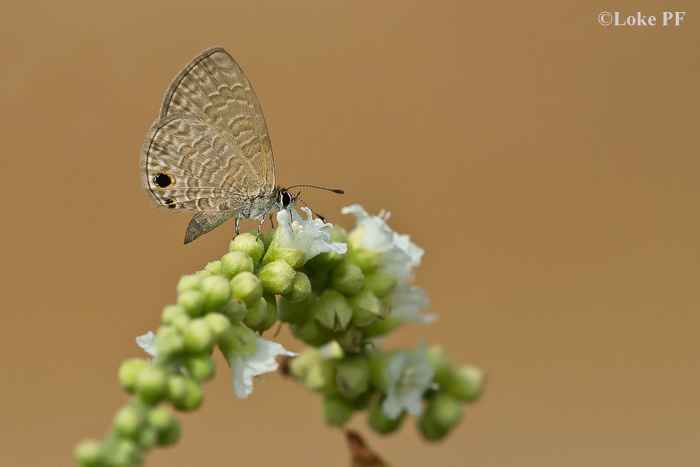 The smallest species of butterfly in Singapore, the Pygmy Grass Blue has also been seen feeding on the nectar from the String Bush flowers. 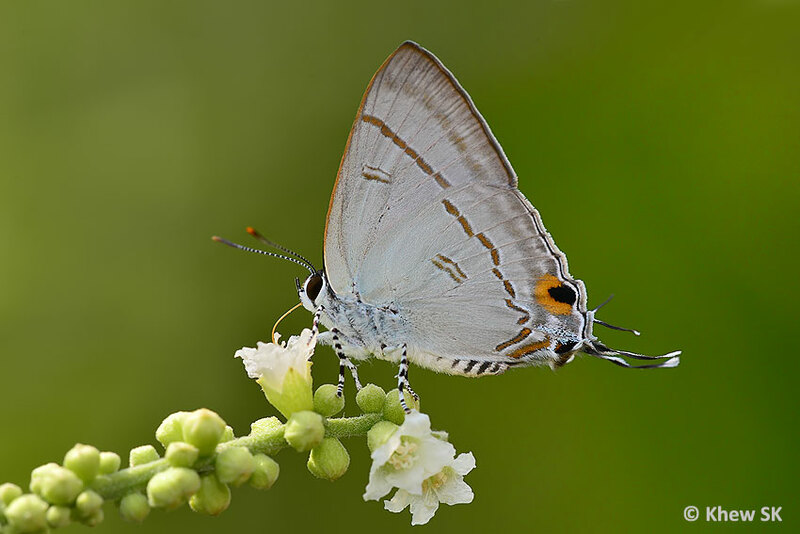 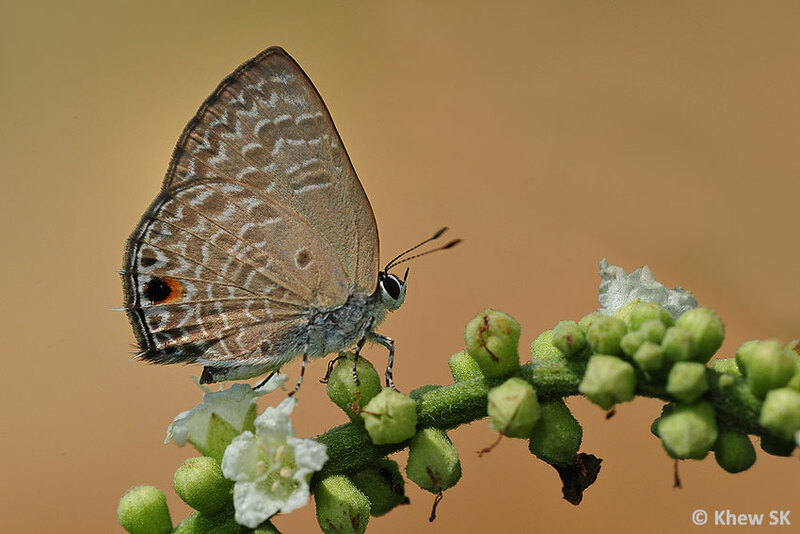 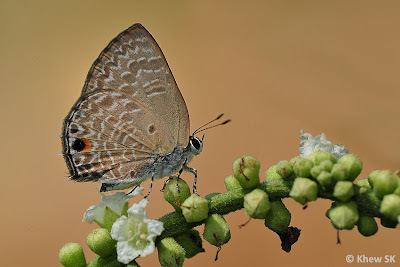 Various genera of Lycaenidae were observed to feed on the flowers and these include the Rapala, Tajuria, Prosotas, Hypolycaena, Anthene, Chilades, Catochrysops, Zizula, Zizina and Zizeeria. 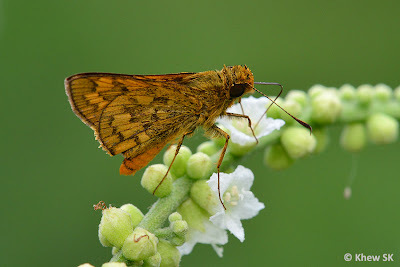 Of the Hesperiidae, spotted at the flowers of the String Bush are the Polytremis, Pelopidas, Cephrenes, Hasora, Potanthus and Caltoris. Although the String Bush is not an aesthetically attractive plant to landscape designers and gardeners, it is certainly an important addition to any garden that wants to attract butterflies. It is hoped that this plant will make a comeback in Singapore's butterfly-friendly environment in the near future.